New ranch READY NOW on the last remaining lot in Eagle Shadow. 2 acre site, 4 car garage, enough room to build an RV outbuilding! 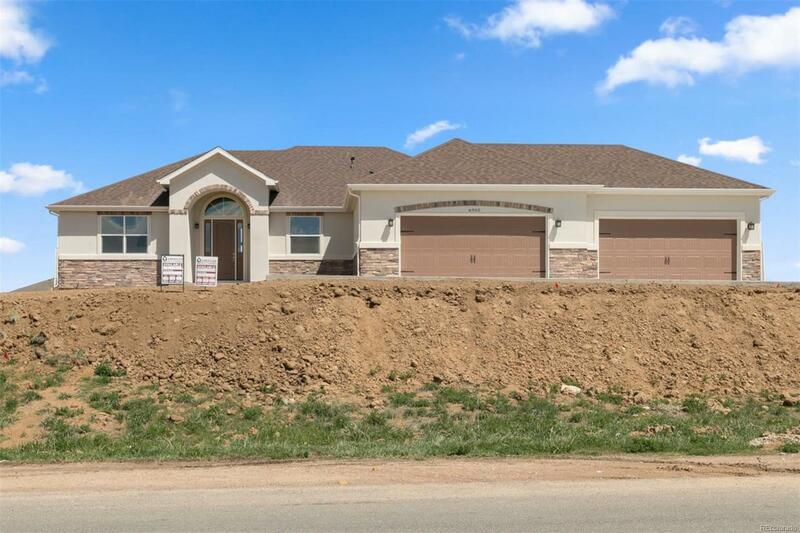 Beautiful stucco and cement siding home, 3 bedrooms, study or formal dining, morning room, open great room with gas fireplace, large kitchen with island. Master suite with huge walk in closet, 5 piece bath with free standing tub. 6" wide plank hardwood floors, granite tops throughout, gray stained maple cabinetry with 42" uppers, crown molding and soft close, stainless steel appliances, upgraded tile and carpet throughout, air conditioning, wrought iron rails, wide staircase, 5" baseboards, patio off morning room and full concrete driveway. Offered by Porchlight Real Estate Group. © 2019 Information and Real Estate Services, LLC. IDX information is provided exclusively for consumers' personal, non-commercial use and may not be used for any purpose other than to identify prospective properties consumers may be interested in purchasing. Information is deemed reliable but is not guaranteed accurate by the MLS or 8z Real Estate. Data last updated: 2019-04-23T09:37:38.797.